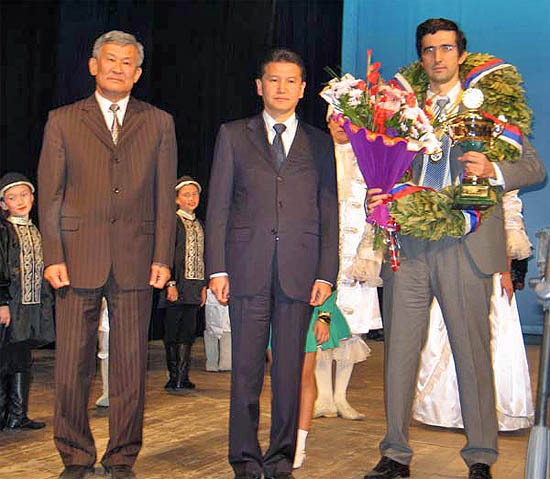 WCC 2006: Kramnik emerges as World Champion! Unified World Champion Vladimir Kramnik (far right) with FIDE President Kirsan Ilyumzhinov (middle) and Valery Bovaev, Chairman of Organizing Committee). Photo by Casto Abundo. Two days ago, Vladimir Kramnik emerged as the unified World Chess Champion and closed the book on a new chapter in chess history. The match was perhaps known more for its off-the-board drama than for the quality of play. Veselin Topalov was reported to have discussed a rematch in interviews, but with the protests in the recently-ended match, one wonders what changes would have to be made to prevent such turmoil. The match was exciting from beginning to end as Topalov seemed to play with vigor while Kramnik played solidly. It was a classical battle of two contrasting styles. There were several high-quality games during regulation play, but the match was marred by blunders and oversights. The four tiebreak games were interesting and the see-saw battle when down to the deciding game. Kramnik prevailed 2½-1½ and when Topalov resigned, the new Unified Champions raised his right hand triumphantly. One may look at the match and say that Kramnik was the moral winner of the match and that Topalov deserved to lose. Such comments can be debated ad infinitum, but what is clear is that more information will be revealed in coming weeks. Silvio Danailov states that he will release a book on the "toiletgate" controversy, but it is doubtful that anything positive to come from such a book. The chess world would do best to put the sordid chapter in the dustbins of history. The opinion of many was that Danailov was the ringleader of controversy by making repeated accusations of cheating and that Topalov took most of the heat for Danailov's actions. The tone of the match changed and immediately Topalov was cast as the villain with horns and Kramnik the hero. 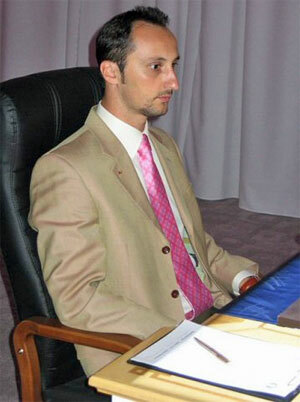 The truth of the matter is that Topalov did not help his cause by his lack of contrition. There were many lessons learned from this match, but let us hope that there is light around the corner and that Mexico 2007 will provide a path to complete unification.